A warm welcome and heartfelt thanks to Stephanie, a Dunedin mother, lawyer and regular commenter here, who is generously telling some of her story of baby loss today. She is available to talk further in the comments, so do feel free to ask questions and share your experiences. I always feel uncomfortable when a stranger asks me how many children I have. It may sound like a simple question, but I never know how to answer it without either giving too much information and making the other person feel uncomfortable or feeling like I am not really telling the whole truth. The easy answer (which I usually give) is to say that I have one child, because I am lucky to have a healthy three-year-old son. This keeps conversation flowing and avoids making anyone feel awkward. The problem is that if I answer like this I am often left feeling sad and conflicted because I do not feel that I have been loyal to myself or my family. When I was in my twenties, I assumed that I would choose when I became a parent and how many children I would have. I planned to have up to three children by the age of thirty-five – all to be conceived at convenient two-yearly intervals, of course. Sadly, things did not turn out to be that easy. Up until the point that my husband and I started trying for a family, most things in my life had turned out as I had hoped and planned. So it was no surprise to me that I conceived my first baby as soon as I had decided I was ready to become a parent. It was a very nasty surprise to me when I started to experience painful bleeding at 7 weeks and it turned out that the pregnancy was ectopic. That was my first difficult and frightening introduction to the fact that despite everything I had been taught, my own fertility is not something I can control. I conceived my second baby as soon as I wanted to as well and was relieved when an ultrasound at 6 weeks showed a good strong intrauterine foetal heartbeat. That pregnancy progressed beautifully through the first 20 weeks. My husband and my mother both attended the 19-week anatomy scan with me and we all have precious memories of watching a healthy little boy wriggling and rolling around on the screen. When my blood pressure started to creep up at around 22 weeks I wasn’t very worried because I felt fine. My midwife referred me to the obstetrics team at our hospital and they did various routine checks but didn’t find anything too concerning. My baby was moving, he had a good strong heartbeat and other than the slightly raised blood pressure, there were no signs of pre-eclampsia. As a precaution I was booked in for a growth scan at 25.5 weeks and I was looking forward to it as another chance to see and bond with my baby. The night before the growth scan I woke up in the early hours of the morning because I couldn’t feel my previously active baby moving anymore. I lay awake waiting, desperately urging my baby to move and feeling increasingly concerned at his stillness. I prayed a short prayer, “God, let my boy be alright” over and over again until eventually it was time to get out of bed. While deep down I knew that something was not right, by the time I got up to go to work I had convinced myself that the scan later that day would prove that everything was ok. I still can’t really describe in words how I felt in that moment, but it was one that changed my life forever. I was induced that afternoon and 36 hours later I went into labour and gave birth to my dead son. He had red hair like his father and heart shaped lips like mine. My husband and I held him in our arms and wept for him. We called him Dominic, which means “belongs to God”. We kept him with us for two days before having a small private funeral with our family and close friends and burying him in a peaceful little cemetery that has special significance for my husband’s family. I have memories of Dominic that will be etched on my heart forever and which often surface when I am least expecting it. He is never far from my thoughts, and I will always consider him to be my firstborn. So when I am asked at the hairdresser’s or at a professional networking event how many children I have, I feel like I am betraying my firstborn when I say that I have only one. But I also know from experience that it can be a real conversation killer to say that I have a son who was stillborn and is in heaven now and a three-year-old son. I often don’t feel like going there. In New Zealand culture, when somebody asks another person how many children they have it is usually a casual conversation starter. It is not intended to be hurtful or to cause offence. For a lot of people, I guess, it is pretty simple to answer and it easily helps break the ice when meeting a new person and leads into easy conversations about kids and their antics. There are many people however, for whom a seemingly casual conversation about children and family can cause distress, grief and feelings of inadequacy. These include parents who are suffering from infertility, parents who have lost babies through miscarriage and stillbirth, and parents who have experienced the death of a child at any age. Infertility, miscarriage and stillbirth are particularly difficult to speak openly about in our culture and parents who are suffering from these things often keep their experiences and their grief to themselves. 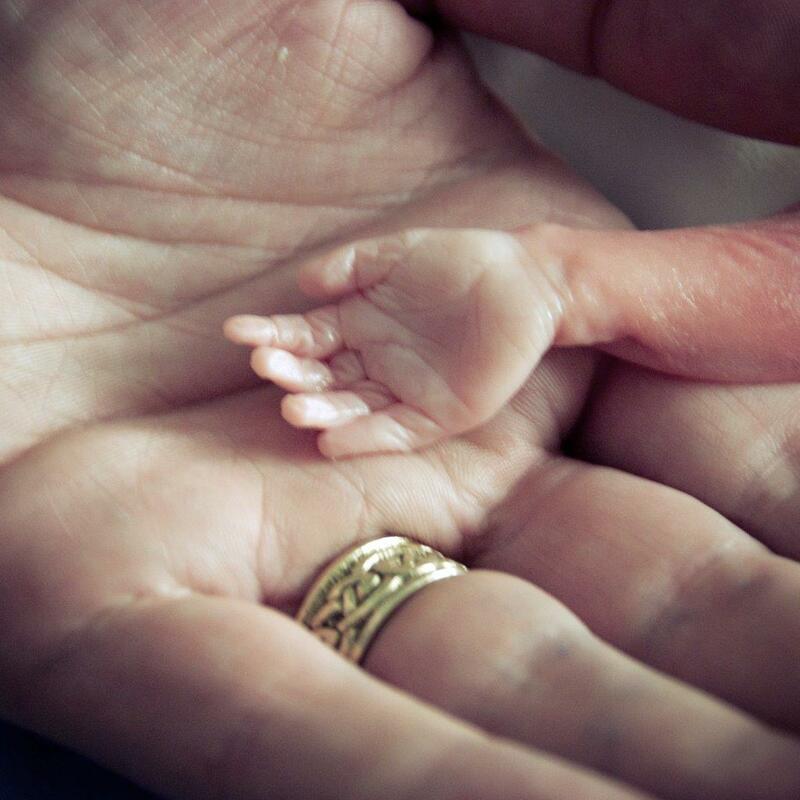 Every year in New Zealand over 700 babies die between 20 weeks gestation and 12 months of age and approximately 1 in 4 pregnancies end in miscarriage. That’s over 10,000 miscarriages that are experienced in New Zealand every year. You may have experienced a miscarriage yourself but if not, you will certainly know somebody who has. It is also estimated that 1 in 4 couples experience some form of infertility at any given point during their reproductive years. That’s a lot of people grieving for babies that they desperately want but do not have. My own obstetric history now includes an ectopic pregnancy, a stillbirth, the premature birth of a live baby at 29 weeks and 6 days (now a healthy three-year-old, praise God!) and since then another early miscarriage. At the time of publishing, I am 16 weeks into pregnancy number five and although I am currently healthy, my days are filled with the now familiar feelings of anticipation and hope mixed with fear and anxiety. I have never experienced a “normal” pregnancy or birth and sometimes I struggle to make small talk about pregnancy and having children with people I don’t know well. But this is something I have had to get used to because I find that the topic comes up in small talk all the time. As I said initially, I often default to giving a simple answer and trying to tactfully change the subject if I don’t feel comfortable or am not in the mood for anything deeper. However, there have been a number of occasions where being open about my experiences has led to some amazing conversations. Both my husband (a GP) and I have had older women open up and tell us about their own experiences of stillbirth in years gone by, when their babies were whisked away from them at birth and they didn’t even know what gender they were. They weren’t allowed (or didn’t feel able) to talk about their babies and they were expected to carry on as if they had not been pregnant. These women have often carried a deep and secret grief with them for decades. I am so grateful that my experience was nothing like that. Around the time of Dominic’s stillbirth I was looked after by wonderful, caring midwives. I was encouraged to hold my baby, to take photos of him and to create memories of his life. I am so glad that I did. I was closely monitored in the months after his birth for any signs of post-natal depression (I also have a family history of this) and I was well supported through all the various medical tests that I had to go through to try and work out why he had died. There is much more openness about stillbirth these days, especially among professionals who look after mothers and babies. But outside of these circles, it is still a difficult topic to talk about. Miscarriage and infertility are even more taboo. For me it has been important to have a few close friends who I have been able to talk openly with about my experiences. I have wonderful friends who remember Dominic’s birthday and honour his memory with me. I have friends who have prayed with me and cried with me through all of my pregnancies and I am so grateful for them. My faith in God has been tested but rather than being weakened, I have found that it has become deeper and more real. I have a longing now for heaven that I never had before. Not only will I get to meet Jesus, but I will meet my children in all their fullness and glory. I long for that day. Maybe you have experienced infertility, miscarriage or stillbirth and have not had a safe place to talk about it. If you feel that this community is a safe place, I’d like to encourage you to share your experiences and thoughts here. You may find it a healing experience to share, even anonymously. Maybe you have not experienced these things yourself but you want to know how to support a friend. If I can answer your questions, I will. God bless all the mothers and fathers who carry babies in their hearts but not their arms. Baby Gone, a book of New Zealand stories of baby loss. Small Miracles, a similar Australian book. You are most welcome to ask Stephanie questions or share your stories in the comments below. If you are feeling moved to tell your story of baby loss or something else in a full post, I would be honoured to publish it. Please contact me by email or leave a comment. For more thoughtful links and resources, do feel free to link up with me on Facebook, Pinterest and Twitter. Hi Stephanie, I see that your post has had many readers, but I know that commenting can be hard. How wonderful that you are able to share your experience and grief with others, and perhaps reach out to hold the hand of others who have experienced similar – even if you will never know who they are. I am astounded at how much deep pain and loss there is in this world, and believe that sharing it helps to share the load. I hope you are finding the same. Yes we will all walk through the valley of the shadow of death (and grief) at some point in our lives. Some of us much sooner than we ever thought we would. I think the only way to survive it is to share with others. I know that your own courageous sharing of your grief journey is a comfort and inspiration to many. Thank you for this, Stephanie. It is a really moving post. The pain never goes away does it. But how wonderful to have the hope of the resurrection and to know that we will meet our children again one day! Thank you so much for sharing this. You have managed to succinctly capture everything I’ve ever felt and not been able to capture. I identify with so many of your sentiments having lost my firstborn over 6 years ago at 31 weeks after an otherwise healthy pregnancy. We have since gone on to have four other healthy babies and I have now ticked every baby box in the census form; stillborn, singleton and multiples. Though those seemly innocuous questions about how many kids I have can still really hurt as you do feel you deny your baby to save someone else hurt and embarrassment. I feel blessed for all my wonderful kids and all of their experiences so far in their young life’s have taught me so much and made me a better parent and person. Thanks for sharing your story Kristy. God bless you and all of your children. When I was five, 51 years ago, my mother gave birth to a baby girl who died at 2 days old (“blue baby” syndrome). Although she was given a name, there were never any photos, there was no funeral, and the baby was never mentioned again. This baby, my sister, had no place in our family history; it was as if she had never been born. Tragic that my parents were never encouraged to treat Jane as their daughter who had her own story and her own place in our family, however brief. They were not aware of an acceptable way to work out their pain, to visit sad memories. But that was then. I’m glad to hear attitudes have improved. Your story is very moving – thank you for telling it. Thank you for sharing Jane’s story. I can only imagine the grief that your parents must have carried and the confusion that you must have felt as a child. God bless you and your family, including Jane. Thank you for sharing your story and well done on your involvement with the parent centre and the support group for bereaved parents. Here’s a song about seeing their child in heaven one day. It’s what got me through at times Thank you for this touching piece. Thank you for sharing your story. I hope that your precious baby’s due date is a peaceful day for you. I know that what a hard day it can be. Thalia from Sacraparental has actually just reposted this. I wrote it almost two years ago but I’m glad that the timing of the repost has been good for you today. My 5th pregnancy had a good outcome (as far as my pregnancies go!). I gave birth to another little boy at 32 weeks and 2 days. He had to be delivered early like his brothers because he stopped growing but once he was out and in the NICU he did well. He is now a busy, healthy 18 month old! The pregnancy was stressful, especially towards the end. I have a condition called Hughes Syndrome which manifests in a very similar fashion to HELLP (and often the two go together). With good medical treatment though it is possible to give birth to live babies and I am very grateful for the two live babies that I have been entrusted with. Just came across this post. I am so so sorry for the loss of Dominic. This Mum is so brave to share her story. Thank you so much. I have had two miscarriages and will never forget those little lives that could have been. Sometimes keeping it all a ‘secret’ is the hardest thing. Not that my miscarriages are a ‘secret’, It’s just that no one really wants to hear me talk about them.